Let me just say this right off; moving is STRESSFUL!! It has been 25 years since our last move, so we have really gone through a ton of stuff. As of today, most everything we own is boxed up and ready for the U-Haul. Neither of the dogs have experienced so many changes in their surroundings. Pierre usually freaks out when anything is out of place, so this could have proven to be a major upheaval for him. Bentley is more chilled but can become very clingy when we are stressed out. Did I mention moving is very stressful?!? 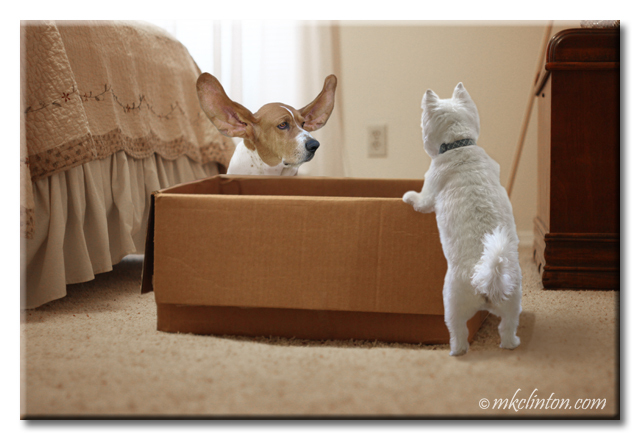 There are a few tips that I will be sharing to help your pet during major changes such as moving. Today I want to talk about Treatibles® oil. We have previously shared our thoughts on their tasty treats in Treat Your Pet with Treatibles. The oil seems to act faster and contains more Phytocannabinoid Rich (PCR) Hemp Oil. They have even made the oil more beneficial and palatable by adding MCT coconut oil. You can purchase Treatibles oils in 90 mg. and 250 mg. strengths. It is also available in a high potency 750 mg. which is suitable for large animals including dogs, horses and livestock. It can also be used with smaller animals who are difficult to dose. Let’s say you have a 15 lb. cat that doesn’t like taking the drops. You might have better luck giving them 2 or 3 drops of the high strength oil instead of 15 drops of the 90 mg. or 6 drops of the 250 mg. 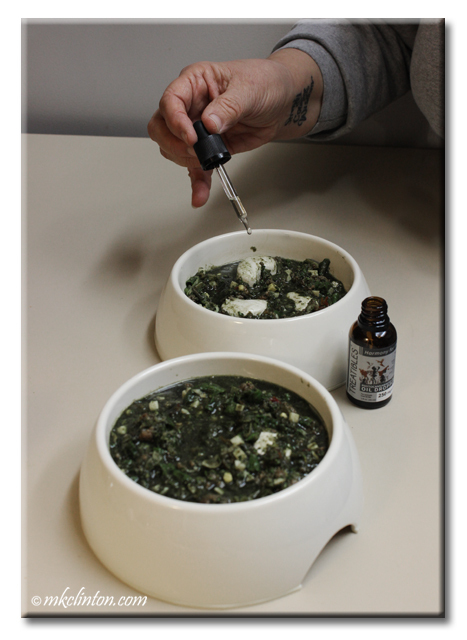 I add ¼ dropper to Pierre’s food and ½ dropper for Bentley of the 250 mg. bottle. What Are the Benefits of Treatibles Oil? Why Add MCT Coconut Oil? Another benefit of the newest Treatibles Oil with MCT Coconut Oil is that it can be used as a topical treatment. It works wonders on burns, rashes, infections, cuts and scrapes. I cannot imagine trying to pack and move without our Treatibles oil. The boys are much calmer than I could have ever hoped for and it’s not because they are stoned! 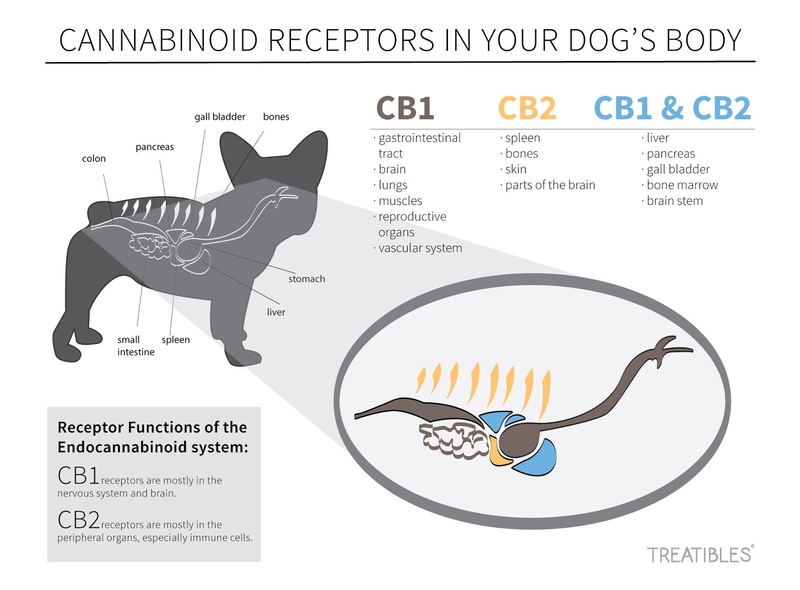 The products are virtually free of THC, the psychoactive cannabinoid found in cannabis. 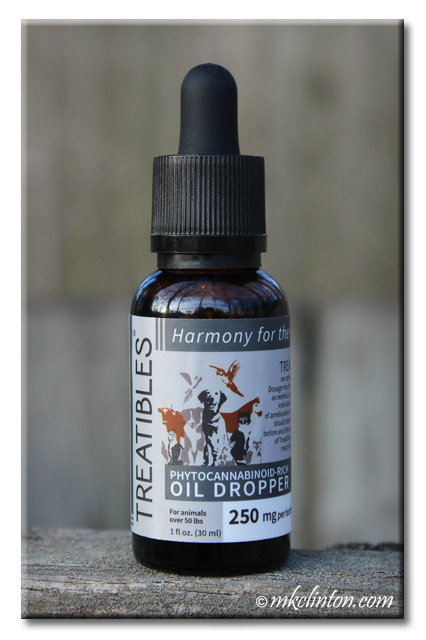 Treatibles was the first company to create PCR hemp oil infused products for pets. They are legal to buy and ship to all 50 states. We are so proud that Treatibles was voted Excellence in Products 2018 for GreenState Awards and Pet Age Reader’s Choice Award. I also chose it as one of my Top 10 Favorite Products of 2017. 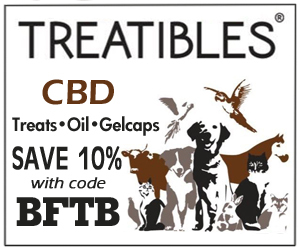 Fetch your pet a bottle of Treatibles Oil with MCT Coconut Oil and save 10% with my code BFTB. Bottles are available in 90 mg.~$34, 250 mg.~$52 and the high potency formula for $120. You are going to be so glad that you did! that sounds very good and the mama said we will look for that magic oil. btw: can you please tell the mama that this is not for humans? Hahaha! If it was, I'd be using it to get through this move too! BOL! haha - mom was thinking the same thing that Phenny's mom was thinking. We know just how stressful moving can be! I will be the happiest person on earth when we pull into our new home! Glad it is working for you. Think of it as an adventure. It will be so fun when you get to the new place and you get to put out your toys and beds in just the right spots, check out the yard, so much fun! We can't wait to get there and settle in for the next 25 years or so. LOL! We are considering it. They are nervous wrecks! so good to hear they are being calm. It is so helpful. Now, if we can just relax! Sounds good and healthy too. It is a miracle in a bottle! The dogs haven't experienced a move...and probably won't, but it is good to know there are things that can help them. Sounds like the perfect thing, to keep the dogs calm. It is really helping because none of us really like changes and these are crazy changes! We are excited to be settled. Yes, Treatibles has made a huge difference in their anxiety. I remember how stressed you were and I see how much you love your new home. You give me hope! Hahaha! Hemp? Did you boys say hemp?? We bet that mellows you right out. Maybe your mom needs some too! It is making this move so much easier. Maybe we should put a few drops in Mom's coffee! BOL! BOL! I don't understand how some people move every few years. I hope we never move again unless we win the lottery and can have someone do all of the grunt work while we eat caviar. Hahaha!